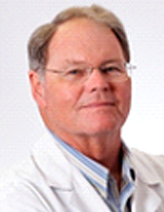 Dr. Spence has devoted his entire career to stroke prevention. During his first two years of training in Neurology at Western with Dr. Henry Barnett, he saw over 1000 strokes, half of which were due to hypertension. This led him to complete training in Internal Medicine at Western, and then Clinical Pharmacology at the University of California at San Francisco. He returned to London to establish at Victoria Hospital the second hypertension clinic in Canada. With major efforts by the Department of Family Medicine and the hypertension clinic, stroke in London was reduced by half within 5 years. In 1995 he moved to University Hospital to join the stroke team and establish clinics aimed at stroke prevention and premature atherosclerosis.